As Joe Casey notes in his introduction, there’s an extraordinary energy to Miranda Mercury. Creators Brandon Thomas and Lee Ferguson start us off with a chapter title and then drop us right in the middle of an adventure, all of them numbered, and throw us what we need to know as it continues. It provides a constant stimulation as Miranda and her companion the genius Jack Warning tour the galaxy righting wrongs the old fashioned way, with a full dose of gumption and two-fisted righteousness. She’s part of a superheroic dynasty, and the most current and efficient of them. 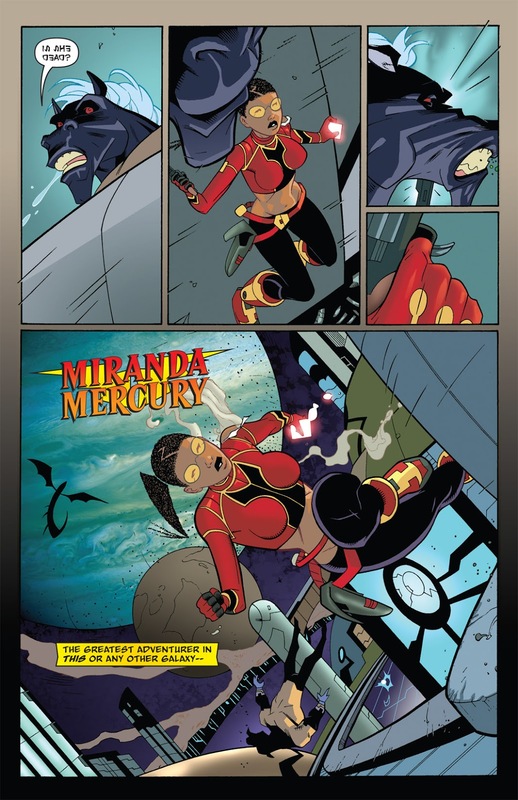 So much about Miranda Mercury is so good. 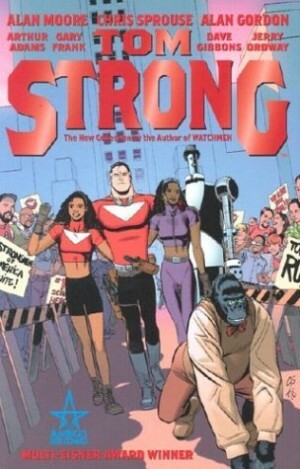 A sense of urgency is conveyed by the way each of the stories began on the cover when printed as standalone comics, and there’s a massive rush to the continually novel use of scientific possibilities in Thomas’ plots. This is present throughout, but seen to best effect in an adventure featuring time raiders, with an audacious use of completely black panels. The conceptual density and hard science is completely at odds with the look of the series, which Ferguson designs as a deliberate contrast, with retro costumes, weapons and spacecraft offering a timeless perception. 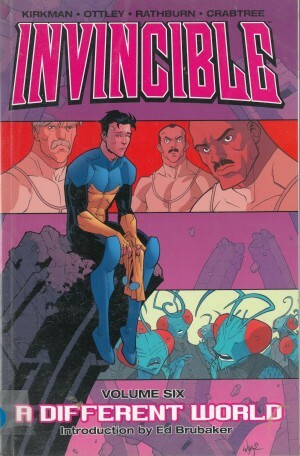 When other superheroes appear they’re given a more dated look, circa the Image super teams of the 1990s, and he can switch storytelling methods when needed, with far more abstract text and illustration used for the final chapter explaining the underpinning to everything. Thomas isn’t really one for subplots, but dotting in and out as a concern is that Miranda is dying. Even genius Jack doesn’t have a clue about how to prevent this, and because she won’t slow down, the chance is that death will arrive sooner, not later. This eventually takes precedence over the final two episodes with Jack ever more concerned: “So what happens when you’re dead Miranda? Who saves the next doomed planet? Who does the next impossible thing?”. 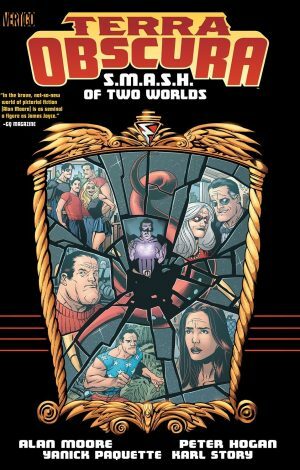 The penultimate chapter is almost entirely soul-searching, and the nearest Thomas swerves to familiar superhero anxieties and desperation. Thankfully it works in context without dropping completely into soap opera. 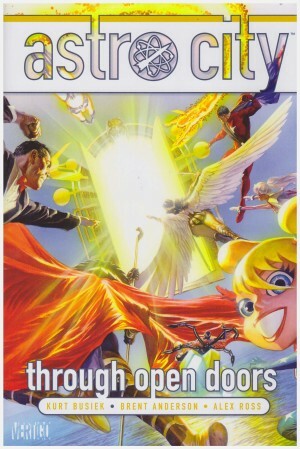 It could be that Thomas is promoting his own agenda when he has a character note “ideas are the one thing that can never be stopped”, as it applies perfectly to an intelligent, entertaining and thrilling superhero graphic novel. He’s also a believer in the adage that nothing is impossible, which makes the ending bittersweet, but it fits the tone taken throughout of actions and consequences. 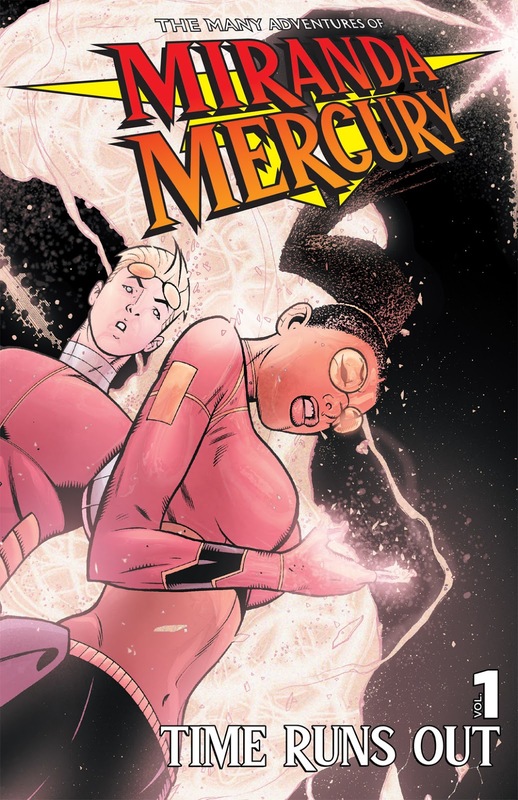 Miranda Mercury is first rate imaginative superhero action, novel and bravura, yet sadly apparently not successful enough to generate a second volume. That’s a shame.